We normally have two practices every week except some holidays and special events. If you are a beginner, we respectfully ask you to start your practice with our Saturday practice. 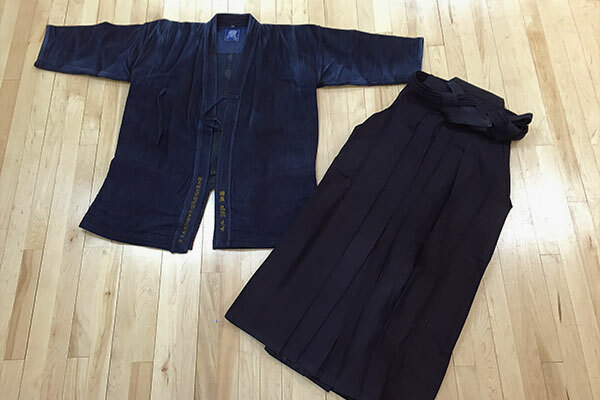 The Wednesday practice is reserved for experienced members with bogu (protective armor). Note: As usual, we will join another club for July and close our Saturday practice for August. For both beginner and experienced members. Our membership fee has two options, a monthly tuition system or pay for every lesson (Keiko). There are also annual membership fee for the All United States Kendo Federation (AUSKF) and a regional federation called the All Eastern United States Kendo Federation (AEUSKF). Our membership fee is based on a monthly tuition system. Monthly fee is $100. If you wouldn’t be able to take more than 5-lessons/month, we will also accept payment for every lesson fee, which is $20. We do not ask for an initiation fee. However, we ask our members with bogu to have Shinbu-kan’s name tare. The cost of the tare is approximately $50. There will be annual membership fees for All United States Kendo Federation (AUSKF) and All Eastern United States Kendo Federation (AEUSKF). Currently, the annual fee is $80 for members who are 18 years or above. For members under 18 years old, the fee is $50. For promotion tests, tournaments, seminars, and other special events, separate fees are incurred. 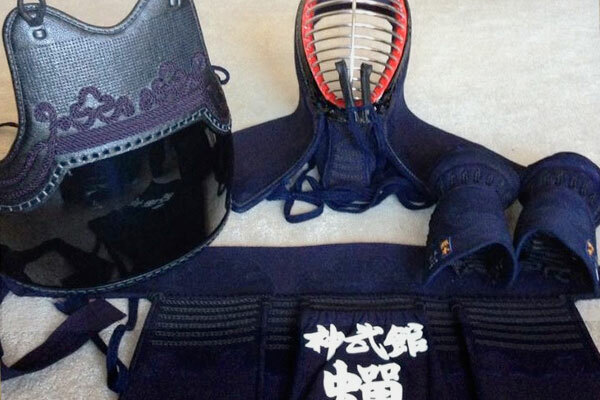 It is necessary to wear a set of protective armor (called “Kendo-gu” or “Bogu”). When you are participating in our practice, please bring your own Kendo-gu if you are experienced in Kendo. When a beginner starts practicing Kendo, it will take several months at least to get a set of basic movement without Kendo-gu. Once you learn the basic movement, the instructors will tell you that you are ready to get a set of Kendo-gu. 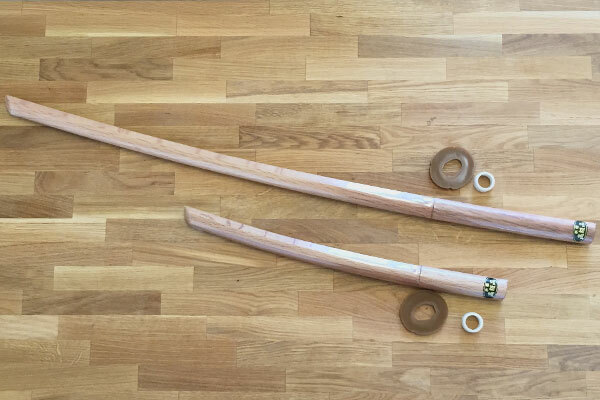 Our dojo can suggest some Kendo-gu suppliers or you can get them through on-line shops. For adult size, it is approximately from $30 to more than $100. 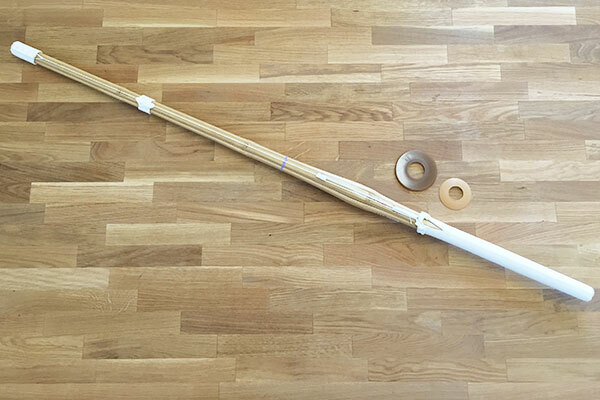 The cost for good adult and college students Shinai (size: 3-9) is roughly $50, and $40 for smaller sizes. Roughly $80 – $400+, depending on the material and quality. The cost depends on how it is made (by machine or by hand), where it is made, the material, and the quality. Normally, the cost is between $400 and $2,000. But, there are Kendo-gu that are more than $10,000. Two different bokutos, Tachi (long one) and kodachi (short one), are used in practice. They are roughly $30 – $40 each. There are more expensive ones. But, they tend to be heavier and are hard to use in practice. Here are some Q & A. If you cannot find your question about New York Shinbu-kan, please feel free to contact us. I would like to participate in your practice. Would it be possible to take a trial-lesson for free ? Yes. We allow potential members to try out once for free. You are welcome to observe our practice also. I have no experience in Kendo but I am interested. Can I come to your practice and see how the practice is done? Yes. You can come to our Saturday practice since we ask beginners to start their practice on Saturday. Our Wednesday practice is reserved for experienced members. There is no charge for observing our practice. What is the best age to start Kendo practice? The main purpose and benefit of Kendo is to be able to train our mind and body through rigorous Kendo practice. Therefore, one can start Kendo from any age. Kendo is one of rare martial arts where members with various different age groups can practice together. Often times, an experienced high-ranking and matured person can defeat a younger and more energetic member. So, the best starting age for Kendo is when you really feel you are ready to dive into Kendo. For younger members (12 years old and under), we request their parents/guardians to be in the dojo during practice. Generally, we encourage children over 8 years old to join us although there are some exceptions (really depends on individual situation). I used to practice Kendo. Can I start again…? If I want to join a Shinbu-kan practice even for once, will I need to make a Shinbu-kan name tare? Or, will I have to pay for the annual federation fees? If you are just joining our practice only occasionally, you do not have to get the Shinbu-kan’s name tare or pay for the annual federation fees. If your “occasional” visits become rather regularly, we can negotiate a fee structure to fit individual situations. If you are a member of our dojo, then we request you to make a Shinbu-kan’s name tare, of course. I don’t have a Japanese name. Is it possible to make a name tare with Kanji characters? Yes. We can help you figuring out how to represent your name with a set of Kanji characters. I never visited your practice before but I would like to join your practice (or to observe your practice). Should I contact you before I visit your practice? Sometimes, there may be a special event that can cause our regular practice to be canceled. So, it is better to notify us beforehand so that we can properly greet you and answer any questions you may have. Is there any public parking available? There are public parking facilities that are managed by the City of White Plains. Our members often use such paid parking facilities (about $2-$3 per session) next to New York Sports Center/City center shopping mall. What do you emphasize in your practice? Our practice emphasizes the basics of Kendo. During our Saturday practice, we start our basic routines with the warm-up, basic Kamae (posture) and movement. Then, after we put on our protective gear (“bogu”), we go through “kirikaeshi” (important basic Kendo movement), basic strikes, advanced techniques, kakari-geiko (or similar keiko) and free practice (“jigeiko”). For beginners, we have a separate menu to teach various aspects of Kendo (like how to properly treat shinai (bamboo sword), how to pay respect to others, how to sit down, etc.). On Wednesday practice, we practice more techniques (“waza”), mainly for members with bogu. New York Shinbu-kan also emphasizes Kendo Kata since we can learn most of basic Kendo movement and techniques through Kendo Kata. So, we try to learn Kendo Kata often, both on Wednesday and Saturday.